DENVER Mukamba says his blood is blue despite all the unfortunate incidences threatening to end his career prematurely. 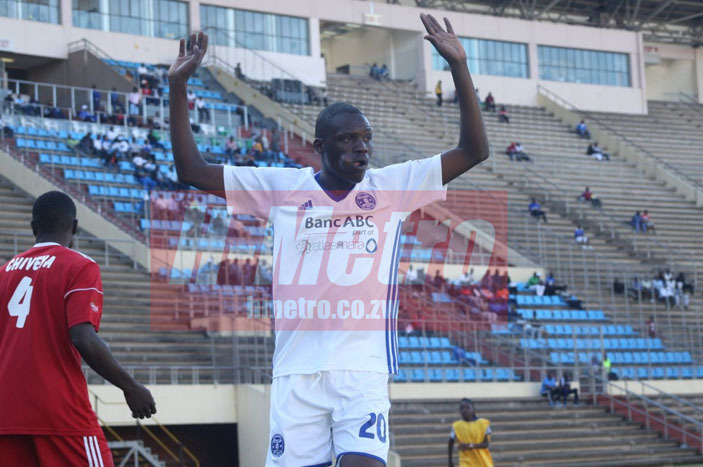 The former Soccer Star has returned to DeMbare after CAPS United released him from his loan deal which was supposed to last for the season. “I am happy to be back at Dynamos. It is such a good feeling and experience to reunite with the team that I love the most. “My blood is blue and that is not a secret. I am excited to be here,” said Denver. He added: “Dynamos are a big team so we have a big task as a team to prove that status. “We have to do our best and aim for the top four since the chance is still there. The controversial midfielder said he is human. “I am back here to do business and execute what I am required to do. “I cannot promise that I can be the perfect guy but I have reformed and want Dynamos to be back. “I am a human being and a lot of things can happen, ndiri munhu wenyama,” said Denver. Denver said Dynamos is now unstoppable. “With the coming in of Kingston Nkatha, Brett Amidu and adding me into the matrix, nobody can stop us. “It is a combination made in heaven ready to pounce on any team, I think it is the best thing so far in the team and everyone here is in good spirit and ready to play. “We are ready for Highlanders and impatiently waiting for that match since it has been postponed twice,” he said. Dynamos are not in action this weekend.